Twin Valley South’s Jacob Wells drives to the basket during the Panthers game with Dayton Christian on Saturday, Feb. 17. 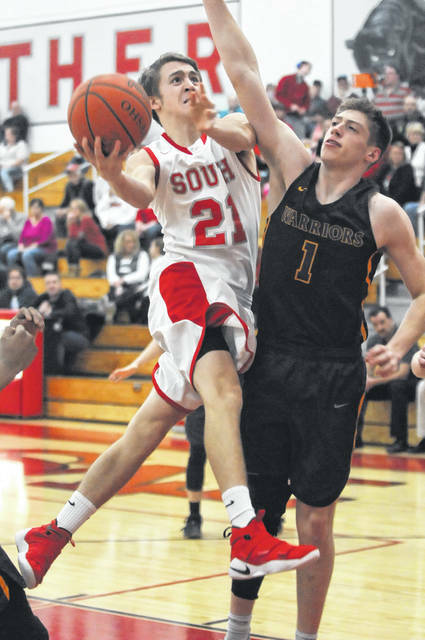 South got off to a slow start, falling behind 12-0, before eventually losing, 78-52. WEST ALEXANDRIA — Every coach wants to see his seniors sent off with a win in their final home. For Twin Valley South, the honoring of its four seniors on Saturday, Feb. 17 was short-lived as Dayton Christian opened the game with a 12-0 run to spoil the festivities and cruise to a 78-52 win over the Panthers. DC point guard Matt Welker was the main culprit. He had a career night, scoring 40 points. He topped his season average of 18.8 points by halftime, scoring 23, as the visitors raced out to a 43-24 halftime lead. “They’ve got a starting point guard that is excellent. He was on his game tonight. Give them a ton of credit they played very well and we seemed lethargic and slow and discouraged,” Augspurger said. For the Panthers its been a common theme this season to get down on themselves when they fall behind. 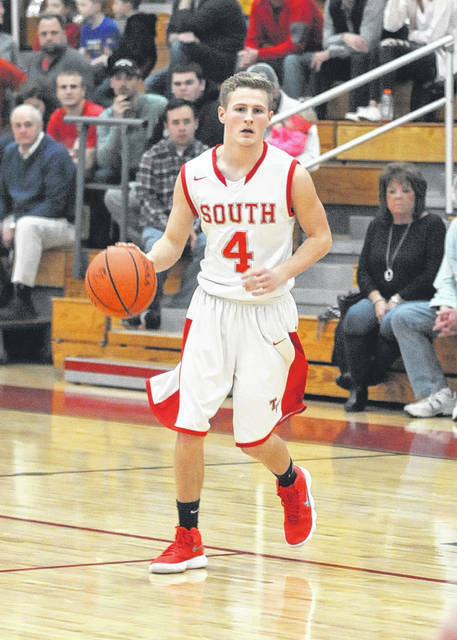 Jayden Bassler led South with 15 points. Travis Lovely added 10, Willie Bowman chipped in with nine and Nathan Osborn contributed seven. 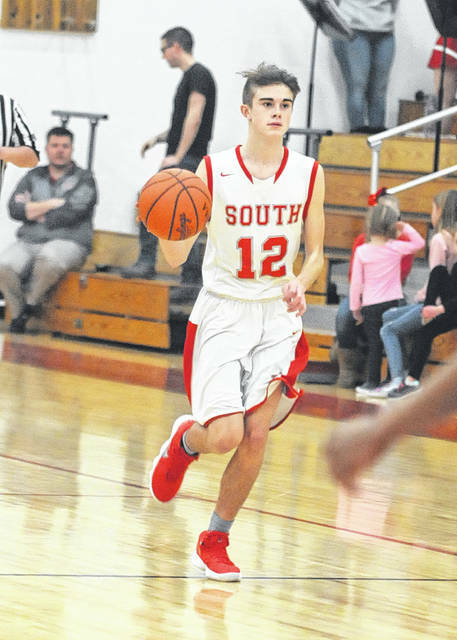 On Tuesday, South fell behind Carlisle by 17 points midway through the fourth quarter only to rally to get within two points, but came up short, 63-60. 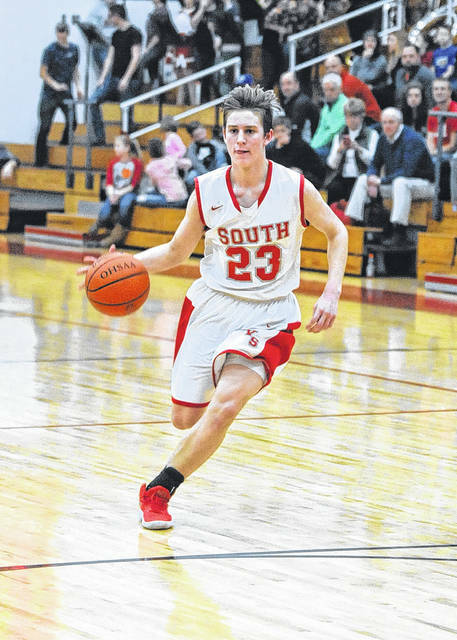 Bowman led South with 20 points, while Jacob Wells scored 11 and Cade Cottingim and Lovely each added nine. 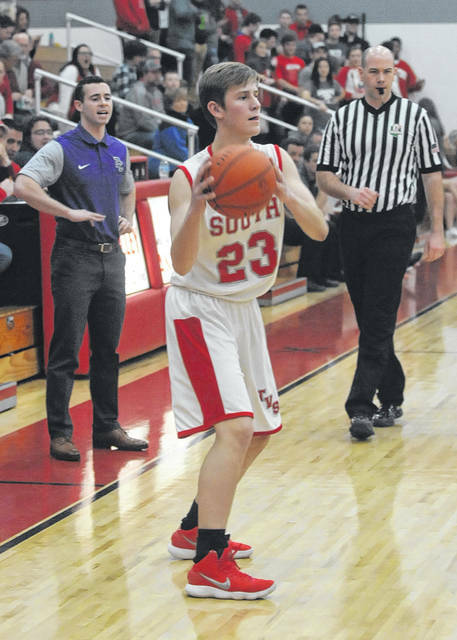 South finished the regular season 9-13 overall and 7-5 in the Cross County Conference. The Panthers will have a week off before their postseason begins. South, the No. 13 seed, will play either No. 4 seed Middletown Madison or No. 12 Stivers in the second round of the Butler 2 Division III sectional on Thursday, March 1 at 7:30 p.m. at Vandalia-Butler High School.